Welcome to the January 14, 2019 edition of ACM TechNews, providing timely information for IT professionals three times a week. The University of California (UC) has warned students and faculty against using messaging apps and social media while visiting China, concerned that their communications could be used as incriminating evidence by Chinese law enforcement. The advisory referred to the recent arrest of U.S. citizen Paul Whelan in Russia on suspicions of espionage, citing his use of WhatsApp. Said UC, "China could use this condition similarly against western travelers to levy charges or as an excuse to deny departure." UC advises visitors to refrain from using WhatsApp, WeChat, and similar messaging apps, even though they are legal in China. WhatsApp may be theoretically more secure than WeChat with its end-to-end encryption and overseas servers with no backdoors, but such measures will not protect users if Chinese agencies can compromise a target's phone with malware or other methods. Startups are putting new innovations to work in Japan's elder-care market, with the potential for products to gain global reach in the next few years. 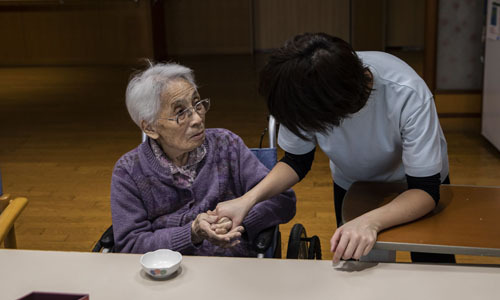 Japan's government aims to control healthcare costs amid the growing elderly population, by using tech to keep seniors independent longer while reducing caregivers' burdens. Entrepreneur Atsushi Nakanishi has reworked his DFree (diaper-free) device to help users self-monitor their bladders as an assistive product for caregivers in more than 150 nursing homes. Another innovator, Tatsuya Takahashi, formed a partnership with the Sompo Holdings insurance firm to equip about 100 nursing homes with patient-monitoring devices that stream data to nurses' stations, including Doppler radar readings of heartbeat and respiration. Cardiologist Masahiko Hara has devised a virtual reality system for stroke rehabilitation in which patients wearing special goggles catch balls or move objects that appear to pop up in front of them. The New York City Economic Development Corporation's Blockchain Center in Manhattan was scheduled to open last week, and the city could start testing the use of blockchain technology as soon as this fall. 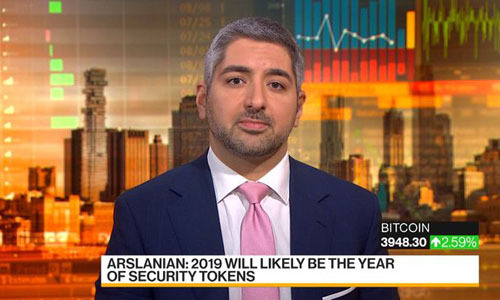 However, the center is opening as the industry faces problems, with cybercurrency prices falling last year by as much as 90%, and many blockchain startups have had to lay off staff or even shut down as they have run out of funding. In addition, some companies have stalled trials and deployment of the technology. The New York City center will offer everything from coding classes to lunch lectures by software developers to the general public. The city is providing a one-time initial investment of $100,000, and the operators will seek to raise money through membership dues and through corporate partners, which already include Microsoft and IBM. 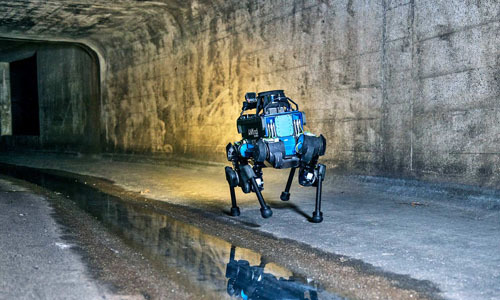 Researchers at ETH Zurich in Switzerland are working to help a seeing, hearing, door-opening robot also function in extreme conditions, such as in the maze of drains and tunnels comprising Zurich's sewer system. The goal of the three-year project, called THING (sub-Terranean Haptic InvestiGator), is to design "ANYmal" robots that move around on their own and are better able to identify their surroundings. Although most robots generally use three-dimensional cameras and laser sensors for orientation, these can malfunction in adverse conditions, such as when the ground surface is wet or there is a lot of dust in the air. The ETH Zurich researchers believe enhanced haptic perception—orientation by touch—to be a possible solution. A multi-institutional team of researchers conducted a study to understand how gender, race, and ethnicity impact graduate students’ success in math, the physical sciences, computer science, and engineering, using publication rates in academic journals as a gauge. Among other things, the study found that female and underrepresented minority Ph.D. students are more likely to advance professionally, publish more, and acquire postdoctoral and faculty positions if their institutional culture is welcoming and establishes clear expectations. The implication is that doctoral students in these disciplines are more likely to publish if enrolled in well-structured graduate programs that outline clear, unprejudiced expectations for evaluating scholars and supporting their careers. Researchers at Queensland University of Technology (QUT) in Australia used data analytics to create an algorithm that can predict the trajectory of an object faster and more accurately than existing approaches. The algorithm combines deep neural networks and memory networks to analyze and predict trajectories in real time. The researchers trained the algorithm using disparate data sets, including air traffic control data from Brisbane Airport, radar and camera data from pedestrian traffic at QUT, and pedestrian trajectory databases from Edinburgh and New York. Said QUT's Simon Denman, "In civilian airspace, this algorithm could help manage drones, where we could see, potentially, an increasingly crowded and constrained airspace." The researchers hope to extend the project in the future to investigate how the algorithm could optimize flight paths and travel routes. 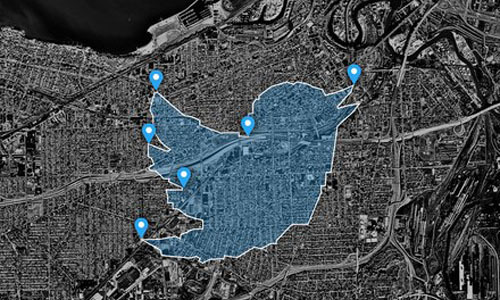 An international team of researchers has developed an algorithm that uses Twitter to automatically predict a user's location within minutes. The Location Privacy Auditor (LPAuditor) exploits the inclusion of global-positioning system (GPS) coordinates within geotagged tweets as part of each tweet's metadata, accessible via Twitter's application programming interface (API). Sharing location data is now an opt-in policy rather than automatic, but the GPS data users shared before the update is still available through the API. LPAuditor is designed to analyze geotagged tweets and deduce detailed information about people's most sensitive locations. Its analysis of coordinate clusters and timestamps on tweets allowed it to infer thousands of users' whereabouts. LPAuditor could find home locations by studying locales where users spent the most time tweeting over the weekend; places of work were determined by analyzing places where users tweeted the most, apart from home, and the time frames when those tweets were sent. Last week's CES 2019 in Las Vegas showcased efforts by Google, Amazon, and Apple to advance connected home technology platforms. The three companies are targeting the living room as a locus for such products, with several major TV manufacturers announcing plans to build Amazon's Alexa virtual assistant into their 2019 models; others intend to embed Google's Assistant within their sets. Creative Analysts' Carolina Milanesi said using such digital assistants as replacements for remote controls is seen as appealing to consumers. However, industry analysts are concerned about a lack of product differentiation, as smaller device makers outsource their core device intelligence to Google or Amazon. The companies' eventual goal is to diffuse their assistants throughout the entire home, to collect valuable customer data, and ease consumer procurement of new products and services. 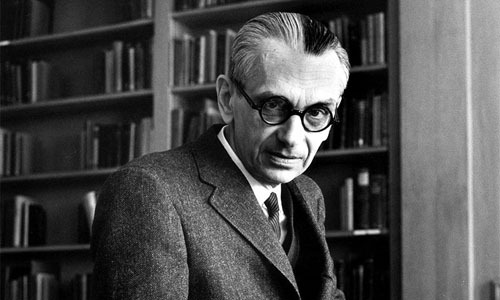 In exploring a machine learning problem, a team of researchers at the Technion-Israel Institute of Technology in Haifa discovered a mathematically unanswerable question associated with logical paradoxes defined by mathematician Kurt Godel. The team determined "learnability"—whether an algorithm can extract a pattern from limited data—is connected to Godel's continuum hypothesis, in which a statement can be neither validated nor invalidated via standard mathematical language. This determination stemmed from an investigation into the link between learnability and "compression," which entails finding a way of abstracting the salient features of a large dataset in a smaller dataset. The team described learnability as the ability to make predictions about a large dataset by sampling a small number of data points. Although the validation of the continuum hypothesis means a small sample is sufficient to make the extrapolation, its invalidation means no finite sample can ever be sufficient. An autonomous, bread-making robotic oven made by Wilkinson Baking of Walla Walla, WA, can produce 235 loaves daily, ranging from white and whole wheat to nine grain to honey oat and rye. The BreadBot mixes, kneads, bakes, and cools the dough without human assistance. 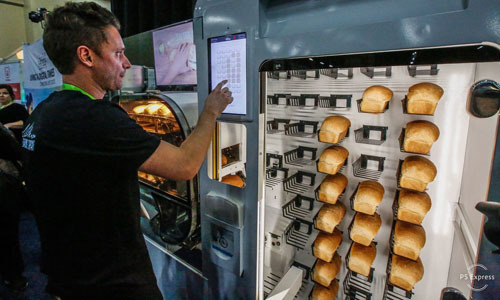 Once the BreadBot mixes the dough into balls, it transfers them onto a conveyor belt, shapes them, and places them inside individual trays for baking; afterwards, a robotic arm moves the loaf to a vending machine for purchase via touchscreen. More than 70 sensors monitor the bread 100 times a second and adjust the baking process in real time. Wilkinson Baking's Randall Wilkinson said, "You've got a lot of [artificial intelligence] data that you can crunch for optimum performance, and all of these machines are Internet-connected." Carnegie Mellon University recently launched the Computer Science Academy, a free, online high school curriculum in computer science. The new curriculum addresses a lack of programming lessons in introductory materials in kindergarten through eighth grades and the advanced placement courses in late high school. The curriculum is designed to assist classroom teachers in developing lessons and exercises, providing extensive training and online support, especially for educators with little computer science background. The program, currently being piloted in 40 schools, will be publicly available for free starting this fall for the 2019-2020 school year. Said Erin Cawley, program manager for the Academy, "Most of the students involved in the project are just a few years older than the high school students who will be using CS1 (an introductory computer science and programming course)." A bug discovered in Google by security researcher Wietze Beukema can be exploited to generate misinformation by distributing rigged search results. Beukema said values from a Google search result's "knowledge graph" can be spliced together to spread false information, because the shareable URL entered into a search result can be segmented and added to the Web address of any other search query. A malefactor can easily put the contents of a knowledge card within a search result; the rigged query does not break HTTPS, so anyone can craft a link, send it in an email or tweet, or share it on Facebook without arousing the recipient's suspicions. Beukema said anyone can "generate normal-looking Google URLs that make controversial assertions," which can "either look bad on Google, or worse, people will accept them as being true." He also said his report of the bug to Google in December was closed with the company taking no corrective action.